I had fun in the neighborhood today. First I went over the Farmer's Market at Union Square. Still crowded due to the construction, but you know that. I got peonies, roses and arugula. Picking out peonies at Durr's. The Farmer's Market with the city beyond. Then I went over the the Chelsea Piers for my yoga class with the fantastic teacher Joan Klynn. After yoga I lay for a few minutes on the sundeck, one of the greatest spots in Manhattan, perched out over the Hudson River. I stopped in the cool store Jeffrey on 14th Steet in the Meatpacking District. I'm happy to report that it was very busy, very lively, lots of people in there. Jeffrey is fun because the merchandise is very chic, and the shoppers are very chic too -- glamorous women trying on towering high heels, store as theater. The store is not huge and everything in it is great and well-edited -- lots of Beautiful Things, including from Prada a woman's black cotton blouse, its collar embellished with rhinestones, jewels, and matte silver discs. 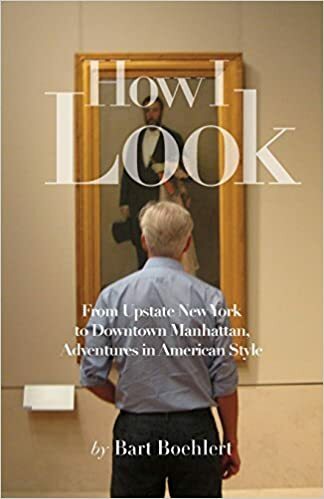 If you visit New York, don't miss the store. Jeffrey Kalinsky knows what he's doing. They had the Dries Van Noten shoes that I wrote about last July. 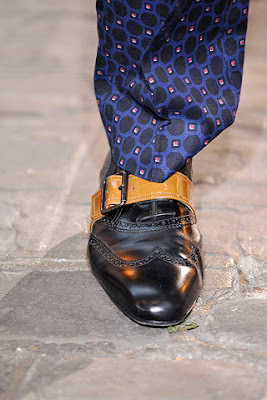 You know I am a Dries Van Noten fan, and I love these shoes which are a combination of wing tip plus monk strap. But they were $775. With tax, $840 shoes. Oy. Then I stopped by the Jane Street Sale, the most charming yard sale in New York. We used to sell stuff at it when we lived on Jane Street, and I always find some treasures there. Today I got a little jade tree, $7. I reminds me of 611 because my great aunt Milly brought back Asian objects from the Phillipines, and when I see something that reminds me of 611, I grab it. The woman selling it said it probably used to have a wooden base. She said, "You can put it in a little pot with stones." I said, "I think I'll put it in a little vase." She said, "You have more class than I do." Bart, I love your blog. I love that when you see something that reminds you of 611, you snap it up. I do the same thing, only with my grandparents' old house in So. Boston. Though this does require editing. Thanks for all the beautiful shots of flowers and the city. It does wonders for a gal in Cleveland. Those shoes are fantastic...as is Jeffrey! I go wild for their perfume selection. You obviously get to Union Square earlier than I do...all of the strawberries are gone by the time I arrive! Umm, excuse me...yoga, Jeffrey's and Dries Van Noten are my three favorite words! When I come to NYC, I'll be sure to call you. We'll take our tight abs and triceps from doing chattarangas right over to Jeffrey's and try on insanely chic Belgian outfits that we'd give our eye teeth to buy.